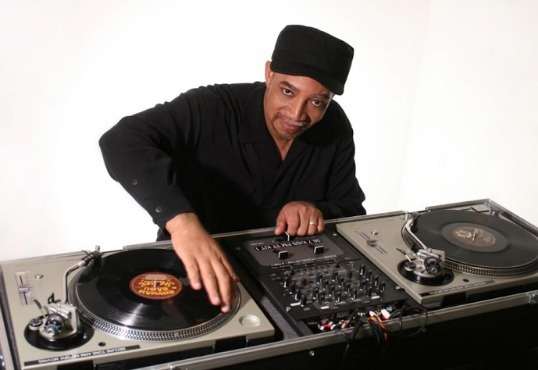 Kool DJ Red Alert is an American disc jockey who rose to fame on 98.7 Kiss-FM in New York City, and is recognized as one of the founding fathers of hip hop music and culture. His weekly radio show airs on WBLS 107.5 FM Saturday evenings from 6pm-7pm EST. Red Alert is one of the first deejays to perform with the architects of hip hop Universal Zulu Nation. He built his radio show’s fanbase by shouting out to listeners within the Tri-State area. Red Alert has been noted for breaking in such acts and artists as A Tribe Called Quest, Queen Latifah, and Black Sheep. Red played a vital role in The Bridge Wars beginning in 1986. His legend grew immensely after being the first deejay to break the record South Bronx by Boogie Down Productions on his KISS-FM weekend radio show and club gigs in support of the Bronx-based hip hop group versus MC Shan, Marley Marl, and the Juice Crew.